UPDATED: Mon., April 15, 2019, 4:18 p.m.
Due to circumstances beyond the Northwest Museum of Arts and Culture’s control, “James Houston and the History of Inuit Printmaking in Canada,” originally scheduled for April 25, has been canceled. In a region with neither wood nor a culture of paper making, writing or etching, Inuit art managed to thrive; today, about 10% of Inuit make their living from art sales. 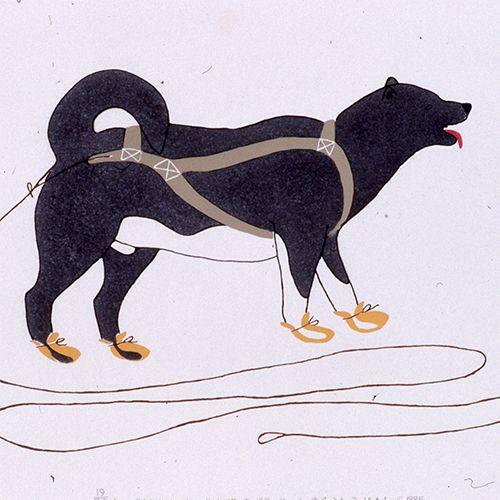 During her talk, “James Houston and the History of Inuit Printmaking in Canada,” April 25 at the Northwest Museum of Arts and Culture, Dr. Nadine Fabbi will speak about the Inuit in Canada and the late Canadian artist/author/filmmaker James Houston, who helped introduce the world to Inuit art. Fabbi is the managing director of the Canadian Studies Center and Arctic and International Relations in the Henry M. Jackson School of International Studies at the University of Washington, as well as a Senior Arctic Fellow with the International Policy Institute in the Jackson School. After the talk, through May 12, check out “The Inuit Art of Povungnituk” exhibit to view a variety of prints and sculptures from Povungnituk, a village located in Nunavik in northern Quebec. The exhibit prominently features the work of Paulosie Sivuak, one of Povungnituk’s most celebrated artists. Published: April 15, 2019, 9:05 a.m. Updated: April 15, 2019, 4:18 p.m.